The political reforms taking place at the present time are subject to a major constraint. This stems from the fact that the government of national unity is a composite that includes a large number of members of the previous government. Many of them were part and parcel of the misgovernance and ethnic nationalism of the previous government. 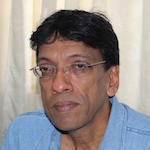 While a few of them joined President Maithripala Sirisena in leaving the government at the last moment, it is likely that they would be held legally and morally accountable if an investigation into the past would be conducted. The nature of the present government therefore precludes a clear break with the past. In these circumstances, a danger to guard against would be the gap between new laws and institutions and their implementation. The previous government set up new mechanisms, such as a missing persons commission and military courts to investigate human rights violations that had taken place during the war. However, these failed to deliver justice to the victims and appeared to be stage managed for public relations purposes with the international community. They did not convince the victim communities or the international community, and gave further confirmation that the former government was not to be trusted. The electoral and governmental changes since January 2015 have begun a process towards political reform that seeks to address the divisions and grievances of the past. The success of these measures depends on genuine engagement from key actors and local communities on both sides of the conflict divide. Perhaps in view of the controversial nature of going back to the divided past, the government is inviting civil society groups to undertake wide ranging consultations on its transitional mechanism. The success and effectiveness of the Sri Lankan transitional justice process will be contingent on increasing the general public’s awareness, interest and participation, both to promote and widen support for the process. The principles of transitional justice that undergird the reconciliation process need to be made known to the general public if their support is to be obtained. However, the government itself is not too forthcoming about what its own position is. This stems from two factors. The first is the highly controversial issue of transitional justice, in particular those of war crimes and a political solution to ethnic power sharing, which the government prefers to delay dealing with. The second is the dualist nature of the government in which the past and present are blended together for the sake of stability and to ensure a parliamentary majority. This can be seen not only in relation to transitional justice issues, which include dealing with the past war, but also with regard to more basic good governance issues, on which there is no controversy. The gap between new laws and mechanisms and their implementation can be seen in regard to the 19th Amendment which was the flagship reform of the present government in the interim period between the presidential elections held in January 2015 and the general elections held in August 2015. The 19th Amendment set up a method by which appointments to key institutions of state, such as the public service, police and judiciary, would be through a bipartisan process that would lead to persons of independence and integrity being appointed to those high positions. Accordingly the 19th Amendment set up a constitutional council which consists of nominees the prime minister, leader of the opposition, speaker, a nominee of the president and a nominee of the minor parties and five others (including three from civil society) to be nominated jointly by the prime minister and leader of the opposition. The problem with the 19th Amendment is the assumption that the government and opposition would be on opposite sides of the political divide. This is not true at the present time because the government and opposition, or rather the official opposition, are more or less on the same side as they have come together in a government of national unity. As pointed out in an Island editorial, most of the members of the constitutional council are united by a common political agenda, as they are members of the government of national unity. This issue has come to prominence with regard to the appointment of the next Inspector General of Police. It has been reported in the media that those who are front runners for this important post have been engaging in lobbying. This was also the case with the last important appointment by the constitutional council, which was with regard to the attorney general. Here too there were reports of lobbying. While lobbying can be considered to be a fact of life, what is necessary is that the basis of the decision should be transparent. The Island editorial points out that the constitutional council has not yet taken the necessary actions to empower itself and make its decision making processes more transparent. The overt absence of agitation in civil society in regard to the tardy implementation of the 19th Amendment, or to reforms in general, is likely to be due to the continued satisfaction with the general trajectory of the government of national unity. The improvement in all aspects of governance in comparison to the period of the previous government is so marked that civil society and the international community are both prepared to give the government the time and space to meet the higher standards it set for itself during the election campaigns. However, the government’s shortcomings need to be pointed out in the public interest. Such public pressure would be helpful in strengthening the hands of the more reform minded members of the government of national unity as against those who are less amenable to change.